Will you be cancelling your ST ticket this weekend? JCD on his future but also mentions Boyd and Cousin's future. JCD to go to Spurs? 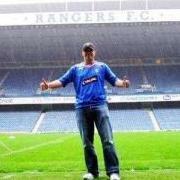 'Glory Hunters' - alive at Rangers? So, did the Uefa Cup cost us the league after all? Best supported club in the World?